Specializing in Commercial and Residential Remodeling and Construction. 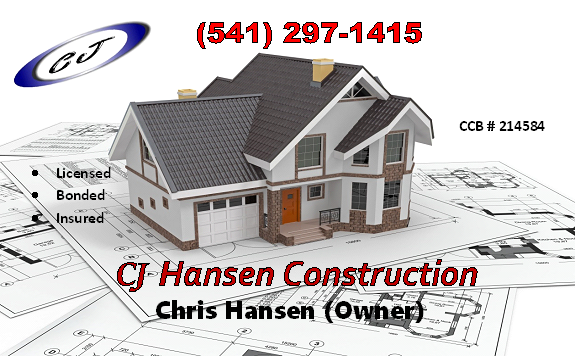 CJ Hansen is locally owned and operated company. The owners were born and raised in the Coos Bay/North Bend area and understand our coastal climate. No matter what you have in mind for remodeling, renovations, additions, repairs, and new construction for your property we have the knowledge and experience to help you in every way. 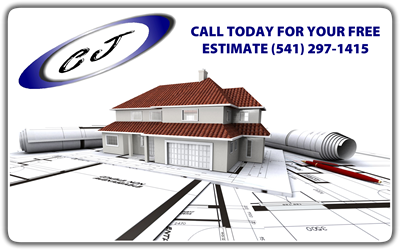 Everyone at CJ Hansen Construction understands that your property can be your most valuable asset. We know you want someone who cares about investment and understands your needs. We can help you choose from a large variety of construction products available that will work in our coastal climate to help protect your building from the elements, with a focus towards excellent esthetics and functionality. Provide you with consistent quality and dependable service. Present you with hassle free experience. Keep you informed to empower you to make the right decision. Act fast and perform the highest quality of workmanship possible with a focus towards on-time completion. Utilize our knowledge of the construction trade to insure accurate estimates. Our customers have always been exceedingly pleased with our work and our customer service, and word spread fast. With just a little advertising, and continued referrals by happy customers, our company grew quickly. A huge percentage of our business comes from referrals and repeat business. We continue to keep our existing customers happy through quality of workmanship and friendly service. Count on us to arrive on time for any of our services. While completing your service, we do not sell you anything you do not need. Instead, we concentrate on finishing the task with the best possible workmanship, which has built our reliable reputation among the community.